In today’s world of continually advancing technologies, having a strategic, high performance data center design that can grow and expand with your business is critical. As more companies push their computing into the cloud, the way information is managed is changing and today’s data centers must be equipped to integrate seamlessly with new IT products. At Gettle, we deliver turnkey support including planning, design, engineering and construction of your data centers and computer rooms. Whether you are building, expanding, relocating, upgrading or installing a new system, Gettle provides comprehensive design-build services from initial consultation to equipment start-up. It all begins with a solid data center design. The RCDD certified system engineers at Gettle will take the time to understand your business technology needs and will design a solution that allows your organization to grow and adapt as the technology landscape continues to change. 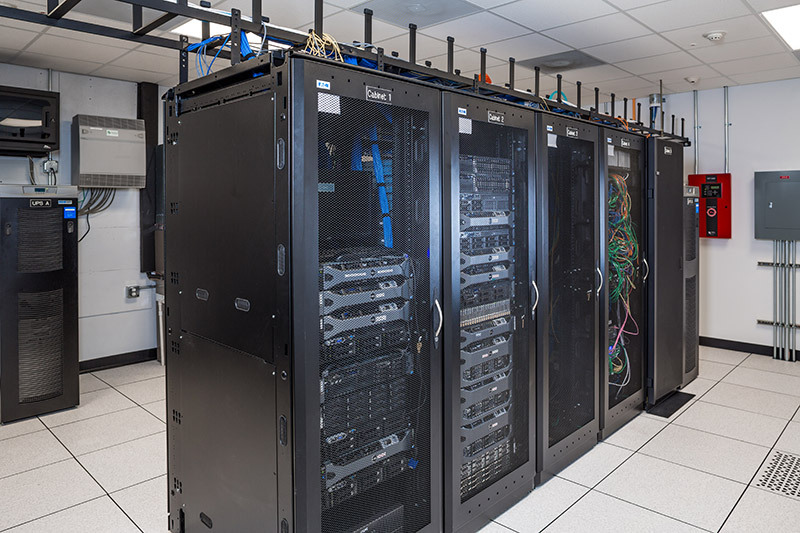 Once the vision for your company’s data needs is in place, our data center wiring experts get to work on constructing a well-managed and organized data center. Pods, cabinets, racking and storage are carefully planned and integrated with the cabling, patch panels and wire management components. The entire system is rigorously documented and labeled. The result is a data center your company can rely on to keep their information flowing and one that will grow with your business. At Gettle, we align ourselves with top industry suppliers and place priority on staying at the forefront of industry technology through ongoing education and training. Get in touch to learn more about our comprehensive data center design services.